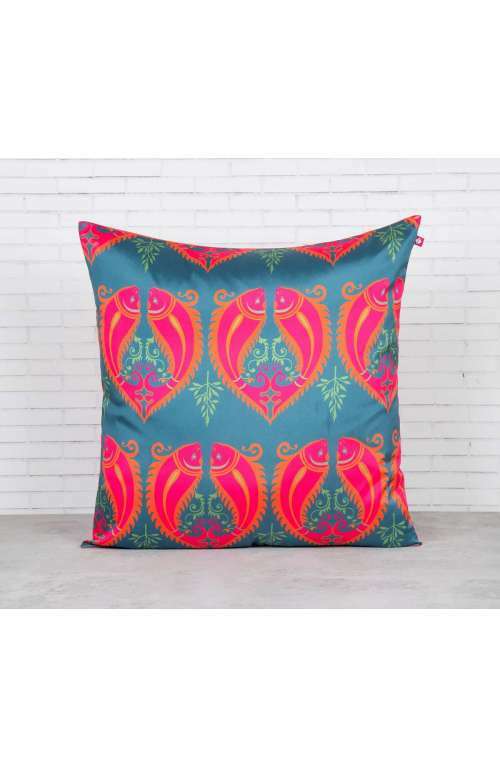 This pink cushion cover made from blended Taffeta Silk fabric has a yin yang fish print all over and comes in a gorgeous pink and blue gradient, adding a touch of boho to any room this pink pillow cover is added to! 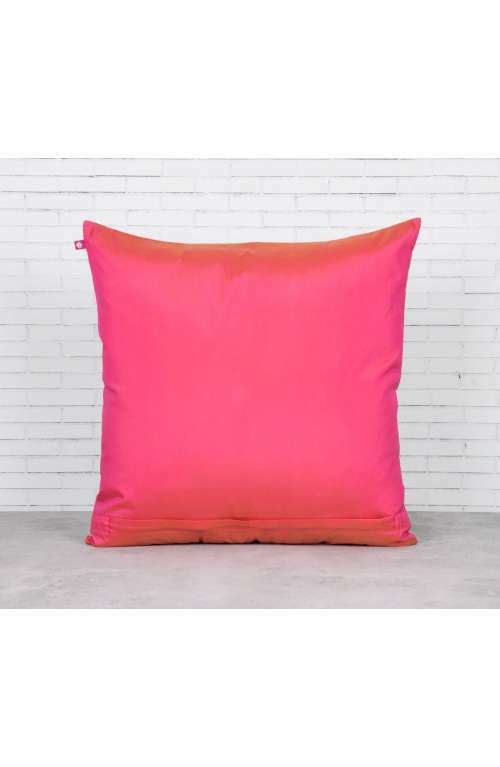 Add a touch of opulence and boho beauty to any room with this pink cushion cover made from Taffeta silk fabric. With yin yang fish in blue and pink, you can turn a minimalist room into your personal zen space with this pink pillow cover. Silk pillow covers are currently all the rage in the home decor sphere, and you can add a bit of trendy geometric symphony to your couch as well. This also makes a great gift for pisces.